With the most revered artists from across the globe playing each year across the August Bank Holiday weekend, it&apos;s the festival for all music lovers! One of Britain’s most well known and well loved festivals returns, Reading Festival 2019 promises to be bigger and better than ever before! And once again Skiddle returns as an official outlets for Reading Festival Tickets. Reading Festival boasts an ever impressive and diverse line up, ranging from all the way from punk and metal, through to rock, alternative, indie, dance, and electro; these are a few of the reasons why Reading Festival is so special. Reading Festival has developed something of a habit of attracting some of the biggest global superstars, and world beating bands on the planet to their Berkshire home. 2019 is set to be no different. 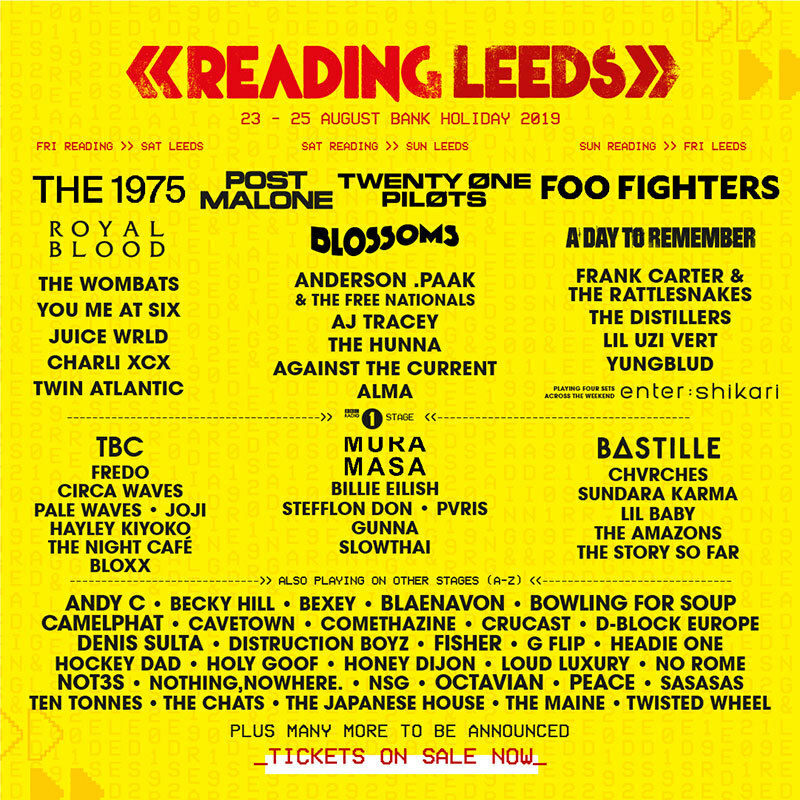 Music fans will also have a chance to see a whole host of new acts at Reading Festival this year including local bands in the smaller tents as well as the more established ones on Reading Festival's main stage. There are also great comedy acts in the alternative tent for when you require a welcome rest from the mosh pit! Reading Festival 2019 is set to be one of the most electrifying, and unforgettable festival experiences happening in Britain this year.